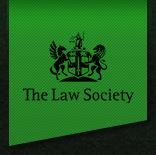 In this article we consider the impact of losing the Lawyers Establishment Directive, Lawyers Services Directive and Mutual Recognition of Professional Qualifications Directive; and the impact of a no-deal Brexit on rights of audience and legal professional privilege. UK lawyers who have not fulfilled the requirements of the Lawyers’ Establishment Directive (ie registration with the host bar as per Article 3) in a host EU/EFTA state will lose the right to practise in the EU/EFTA. UK lawyers practising in an EU/EFA state who have not yet registered with the competent authority should do so as soon as possible. UK lawyers who can prove three years of ‘effective and regular pursuit of a professional activity’ in the member state post-establishment should consider re-qualifying into the host state’s legal profession. Alternatively, UK lawyers who are eligible to become a full member of a bar in an EU/EFA member state should consider joining that bar (eg through the Law Society of Ireland route to re-qualification). UK lawyers who are eligible to acquire the nationality of an EU member state may wish to do so to ensure EU free movement rights. Before 29 March 2019, UK-qualified lawyers who practise in another EU member state may also wish to consider starting the re-qualification procedure under Article 13 of the Mutual Recognition of Professional Qualifications (MRPQ) directive, subject to conditions set out by the national regulator. UK-qualified lawyers will lose their rights of audience before the EU courts after the withdrawal date, unless they hold an alternative EU/EFTA qualification. Communications between UK qualified lawyers and their clients will lose the protection of the legal professional privilege (LPP) in front of EU courts and EU institutions. UK lawyers should consider involving their EU/EEA-qualified colleagues in ongoing cases to secure the application of LPP where applicable. At present, UK lawyers can provide services in EU member states on a temporary basis using their home state qualification. This would no longer be automatically permitted and UK lawyers would have to comply with the national law of the EU/EEA state concerned. If immigration controls are put in place between the UK and EU/EEA states, solicitors will have to ensure they have the appropriate visa and/or work permit in advance. Law firms with existing operations in the EU/EFTA should review whether their existing structures are in keeping with national company law and professional rules for legal practice in that country for third-country lawyers. Branches of UK LLPs or other entities should review whether they can continue operating in the relevant EU/EFTA state, or restructure to become a national structure/branch of a firm headquartered in another EU/EFTA state. When reviewing firm structures, consideration should be given as to whether national rules authorise local (ie EU/EFTA) lawyers to practise together with third-country lawyers, as well as the potential impact on equity, profit sharing, limitations of liability and taxation.